Apple is finally moving beyond the number 10. After 15 years of large cats and a few California landmarks, Apple's OS X is getting a new name that's actually an old name. Apple's senior VP of software engineering, Craig Federighi announced that, henceforth, the operating system on desktop and laptops will be called macOS. The first version of the operating system will be called Sierra and will be available today to developers with a public beta scheduled to begin sometime in July. The final build will launch sometime in the fall. 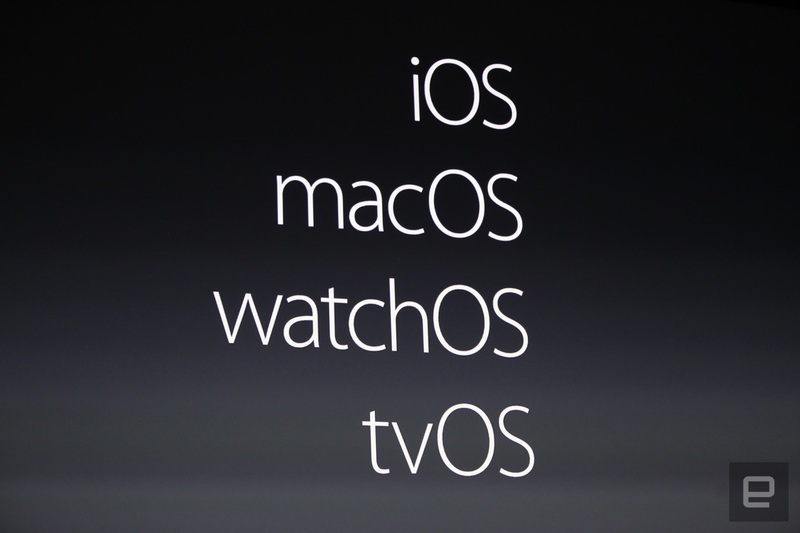 The new name follows the nomenclature of watchOS and tvOS. It also frees the company to move on to using other version numbers like 11 and 12. Plus, it'll keep you from having to correct people who say "ex" instead of 10 when talking about the operating system. Besides, OS X had a long run anyway. Apple launched it in 2001 as a replacement for the aging Mac OS architecture. The Unix-based operating system has its core in NeXTSTEP, a system developed by Steve Job's post-Apple company, Next. After OS X was announced, Apple held a funeral for the discontinued Mac OS 9 complete with casket, creepy organ music, smoke machines and a eulogy by Steve Jobs. We probably won't see the same type of theatrics for the demise of OS X in the autumn.